Good day! Do you believe that anything is possible? I do! Where I live, we’ve been having terrible storms, almost daily, for the last couple of weeks. I never knew that I could be so strong and weather them and the mess they leave behind. I’m becoming quite good at clearing away debris and restoring order to my yard and structures. We have an inner strength that most of us don’t realize. Nicole has a new Mini O Collection called Anything Is Possible. It is filled with magical artsy bits and pieces, amazing colors, spectacular brushes and inspirational word arts. My layout features my hydrangea plant, which thankfully, has survived all the storms. 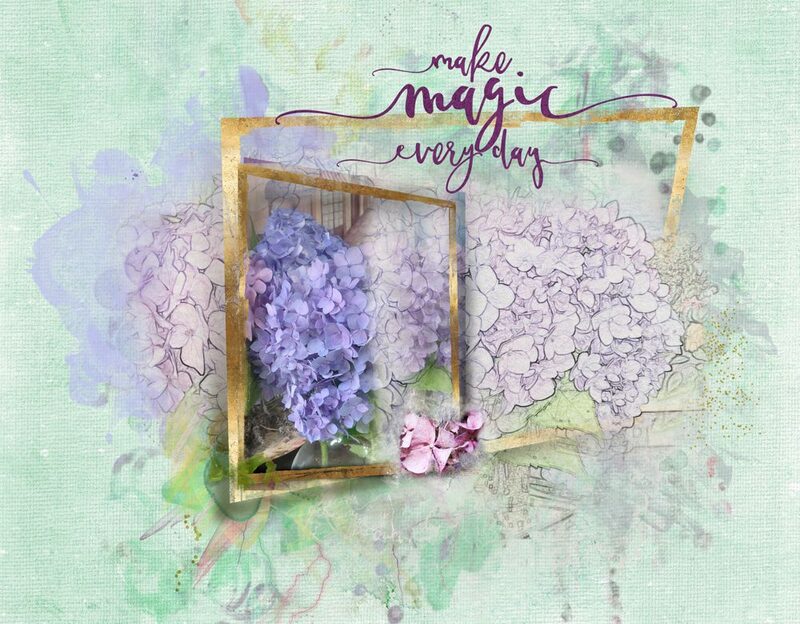 I made a background, using Nicole’s gorgeous paints and brushes, then added a sketching of my hydrangea with one of her out of the box frames. On top of that I used another out of the box frame blended with my original photo. 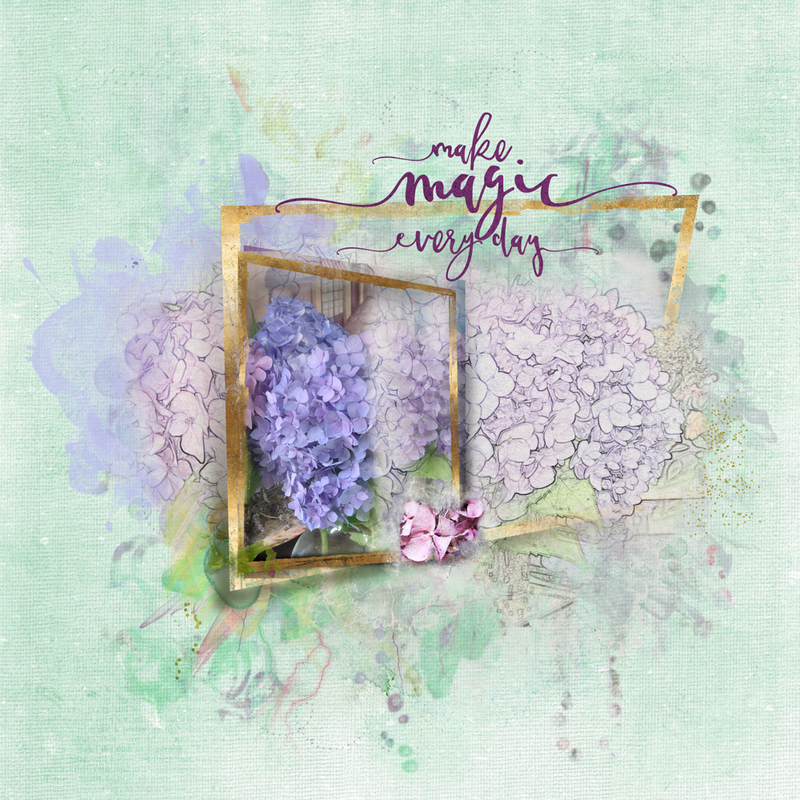 I then added a word art that reminds me to enjoy the magic of everyday beauty. Be sure to check out the NBK Design Gallery at Oscraps and Pinterest for more inspiration with other collections as well. Over 120 Video Tutorials can be found already in Jana’s Vimeo Video Channel using NBK Design products. Learn how to use brushes, see what is inside each Collection, watch Speed Scrap Videos and if there is anything you would like to learn how to do, just get in contact with us at Oscraps.